There is something really cute and lovely about this couple in We Got married. I normally do not watch this variety show since it started four years ago and only begins to see its magic lately with the premise of our youngest Jjongah couple. They don't do skinship with each other that much. Mainly because of Hong Jong Hyun who is so shy. He needs more time to feel comfortable and closer to someone. Their relationship progress slowly, which does not look fake onscreen. Not to say that the rest of the couples are fake. However, Jjongah couple look the most natural to me. They are like the toppings of a strawberry shortcake, easy on the eyes and smooth as the cream. The both of them look stunning when they were first introduced. It is like watching an idol drama right from the start. I guess I am invested in this couple not only because of their matching appearances and amazing chemistry. In terms of personality wise, their differences in dynamic is interesting to watch too. Whoever thought of matching this couple together deserve the credit for its overall great effect. It is wise to say that it's important to get a haircut that is more suitable for yourself. I prefer the visual image of Hong Jong Hyun in We Got married. Kudos to his stylist! 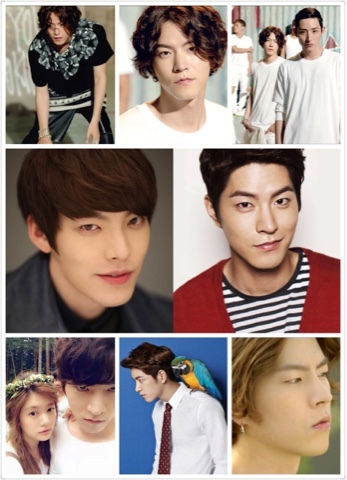 Wait a minute, don't you think Kim Woobin and Hong Jong Hyun look alike? Indeed, they look like brothers. 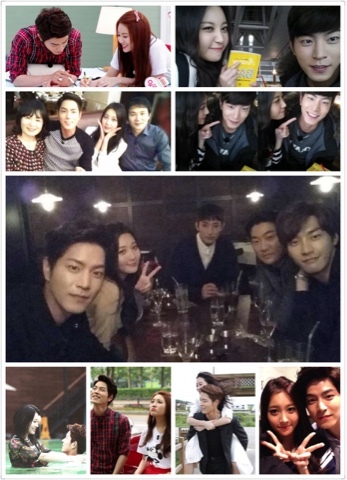 I am sure Yura heart must be fluttering whenever she is with Hong Jong Hyun. What a lucky girl! He is such a good catch is'nt it? How to meet someone like him that is cute, smart, gentle, handsome, manly, cool and gorgerous?!! Through We got married, I get to know more about this two celebrities. 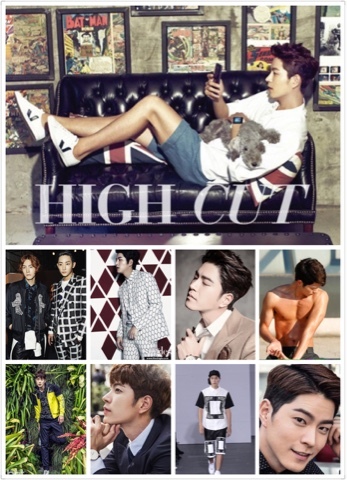 Prior to the show, I do know Hong Jong Hyun as a model/actor but I am not a fan girl. He is very handsome but I do mistaken him as Kim Woobin who happens to be his best friend too. It does not helps that, he was previously outshone by his other cast members in Kdrama. It is only recently, he begin to project more of his charm and got noticed everywhere. It is a great career boost for him to be featured in We Got married. Undoubtedly, Hong Jong Hyun is the up and coming leading man in Kdrama. On the other hand, I know Girl's day through Running man. However, I do not have a deep impression of Yura. Therefore, I am glad to see the other side of Yura through this variety show. We only see Kim Yura onstage and her personality does not come out strong as compared to the other group members. However, we get to see the cheerful and girlish charm of this lady in We Got Married. Yura always look at Hong Jong Hyun with adoring eyes and she is so straightfoward with her feelings. It is noted that Yura speaks fondly of her Jjong oppa, be it during interviews or anywhere. Likewise, Hong Jong Hyun always smiles brightly whenever Ahyoungie (Yura) name was mentioned. Some people say that Hong Jong Hyun is too cold for Yura. In my opinion, the both of them balanced and complement each other pretty well. Both of them seem to enjoy each other company on the show and that is pleasing to the viewers. They have their own lovey-dovey moments and ultimately both of them gained fame and love for pairing up with each other. Indeed, by appearing together they have achieved good publicity as a onscreen couple. Now, if only they will be together in real life too? Back to reality and they are just a fantasy imaginary couple. Fans can only hope they have something more than just close friends. Ok, don't get me started to rattle on how good they look together. They met onscreen for the first time at inkigayo after they left the variety show - We Got Married. Yura posted this picture on the Instagram with three roses from Jjong oppa. He also bought a cake to celebrate the comeback of Girl's day. How sweet is that? 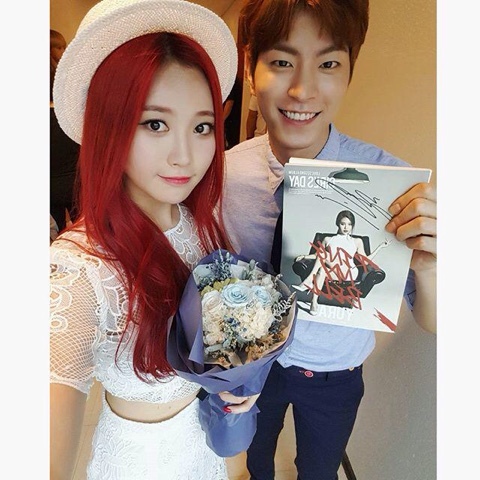 Yura also returned his kind gesture by giving him an autographed album of herself.